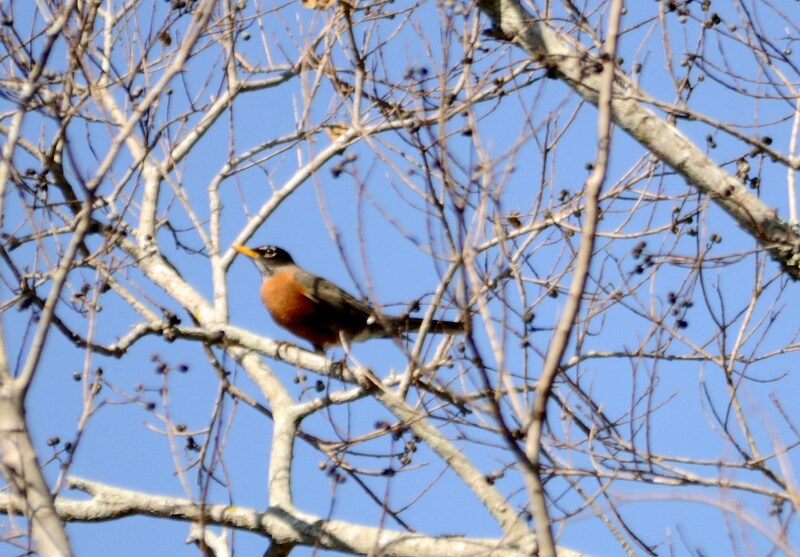 An American Robin, two Cardinals and a Mockingbird greeted us here in South Carolina. We also saw a Red-tailed Hawk circling over the campus of Bob Jones University (our Alma mater) and a Red-shouldered Hawk sitting in a tree. Spring is blooming out all around. We came up here for the Bible Conference and have thoroughly enjoyed and received blessings from all five messages we were able to attend. We are now headed home and will arrive back in Florida soon. Dr. Bruce Compton, from Michigan, spoke on the “Relationship between a living faith and God’s Word. It is good to sit under the ministry of Godly men who teach the Word of God in a concentrated time period, like a Bible Conference. Sometimes it is hard to get away to one, but it is worth the effort. Your soul will be refreshed and challenged. It was also good to travel to a different state to try to get a glimpse of the birds that they have there. Didn’t see too many, but it was a very profitable trip. The Lord is always gracious. This trip is why there has not been many articles from me lately. I will soon be back at the keyboard after I get the binoculars out to spot some more birds to write about. This entry was posted in Birds and tagged Bible, Birds, Birdwatching, Bob Jones University, Christian, Christianity, Plus. Bookmark the permalink. My husband’s name is Lee and he went to BJU also back in the 1950 when he was 11 to the academy and 2 years in the university. He was friends with Bobby II or III. I showed him your post. He is also on facebook, twitter and all if you would like to be friends. On facebook look for his picture standing in a blue suit with a swan and her babies on the wall. This is his Icon! Glad to hear from all and especially alumnus. We didn’t get to BJ until the 60s. Will look him up on Facebook. We just got back a few hours ago. I have tons of mail to catch up on and then will head to Facebook. Well at least 150 emails. Trust you will enjoy reading our other articles.